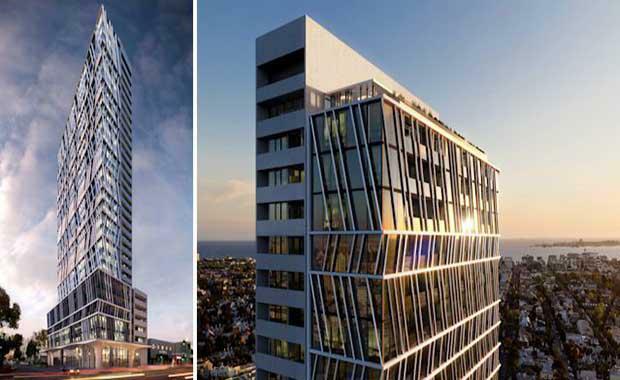 A Melbourne-based developer is set to develop Fishermans Bend’s first tower. Blue Earth Group will develop the site at 91 Montague Street now known as Gravity Tower @ 80 Gladstone Street according to Urban Melbourne. due diligence report on the project. One-bedroom apartments begin from $405,000 at 51 square metres whilst dual bedroom apartments begin at $549,000 and 68 square metres as shown in the due diligence document. According to Urban Melbourne, Gravity Tower looks set to be the first project within Fishermans Bend to reach construction; it will be afforded unfettered views upon completion. There is to a degree an implied assumption that Gravity Tower will proceed to construction based upon the previous work of Blue Earth Group; the company has become adept at advancing projects to construction with very little if any public knowledge of the project but for its listing on Urban Melbourne. A Apartments at 92 Albert Street East Brunswick is currently under construction.